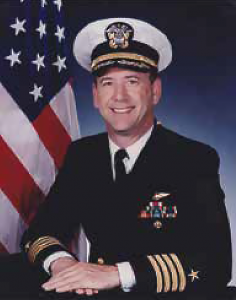 CAPT Louis “Lou” Field Morris, age 64 of Warwick, MD passed away Tuesday, July 12, 2016 . He survived by his wife, Diane Trefry; three children: Jeffrey Morris, Matthew Morris, Kelly Morris and her spouse, Tracy Mullins; along with the mother of his children, Karen Morris; sisters: Cathie Morris and Susan Morris; brothers: Thomas Morris; father Robert L. Morris; and several extended family members. Including Lou’s mother, he preceded in death by brother, Robert Allen Morris. Born January 17, 1952 in Washington D.C., Lou was the son of Robert Langley Morris and the late Hattie Mae (Leonard) Morris. Lou grew up on the eastern shore of Maryland, where he attended Bohemia Manor High School and often worked at Woodstock Farm. After graduating from the U.S. Naval Academy in 1974. Lou devoted 26 years of distinguished service to his country, becoming a decorated naval aviator with an avid love of flying. Lou deployed numerous times to place around the globe and amassed over 2500 hours piloting H-53 helicopters in a career highlighted by command of the Helicopter Mine Countermeasures Squadron Fourteen “Vanguard.” Lou went on to lead various programs for his helicopter community at the Naval Headquarters. After retiring from the Navy. Lou served as Executive Director for Fair Hill International for three years before continuing to support his former Navy community at civilian contractor organizations.